As curator I’ve spent much of the last week meeting with lecturers and teaching staff eyeing up objects, exploring cupboards and sizing up the museum space for classes. 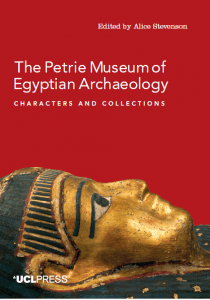 The usual suspects from Archaeology and Museum Studies have made their bookings, but other course conveners in History and Geography are also keen to engage with the objects and archives of the Petrie. There’s room for more though and we welcome suggestions for innovative ways of using the collection in teaching any course here at UCL. It’s not just during formal classes that students have the opportunity to work with the museum. Every year the Petrie office becomes a livelier place as several dozen volunteers join the team to learn about various aspects of museum operations, from events management to collections research. Even with just two hours a week, students gain valuable insights into professional activities, as well as official recognition as part of their well-earned degree. Others come to gain credit as part of their course programmes. If you’re interested in getting involved in front of house or behind the scenes please see Petrie’s volunteering page. We also support the UCL Museum student panel group. Getting up close. 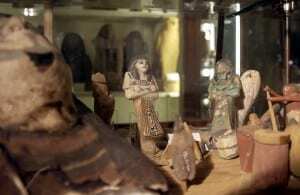 Object handling classes in the Petrie Museum. Our public programme team, Debbie Challis and Helen Pike, meanwhile are gearing up for weekly (and more!) events for students and the public that explore the collection in different ways. We kicked off term with an event with UCLU for Black History Month on hair and style in Ancient Egypt, a student welcome evening, a screening of a mystery involving an Egyptian mummy before leaping into the Bloomsbury Festival with a ceremony worshipping light. 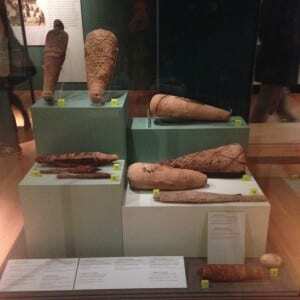 For more see Petrie Museum What’s On. 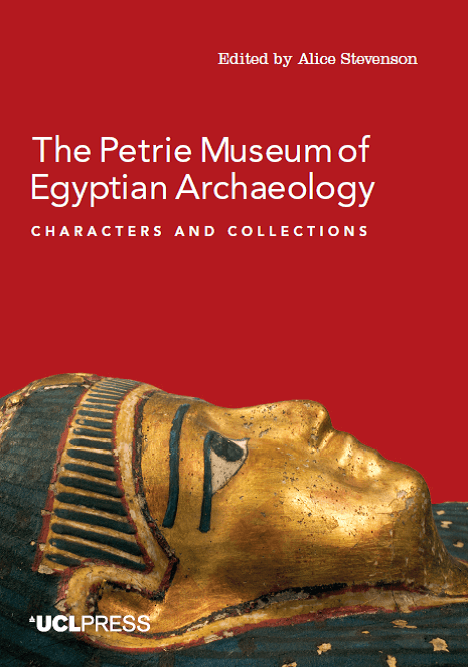 Upcoming events at the Petrie Museum, from film nights and talks, to quizzes and book launches. The Museum Manager, Maria Ragan has been working on the long term strategy, budgets and work plans for the coming academic year. As important as this is, she finds learning more about the collections, meeting staff and visitors, welcoming new students and telling them about the Museums and Collections at the Fresher Fair, a lot more enjoyable! Our front-of-house team, made up of UCL students and longer-standing volunteers, continue to do the invaluable job of warmly welcoming all visitors that enter through our doors. They also assist our visitor services officer, Tracey Golding with day-to-day activities that range from welcoming groups of school children, to updating trails and of course answering all sorts of questions from temperature control to object use. But don’t just take our word for it – see what our volunteers had to say here. 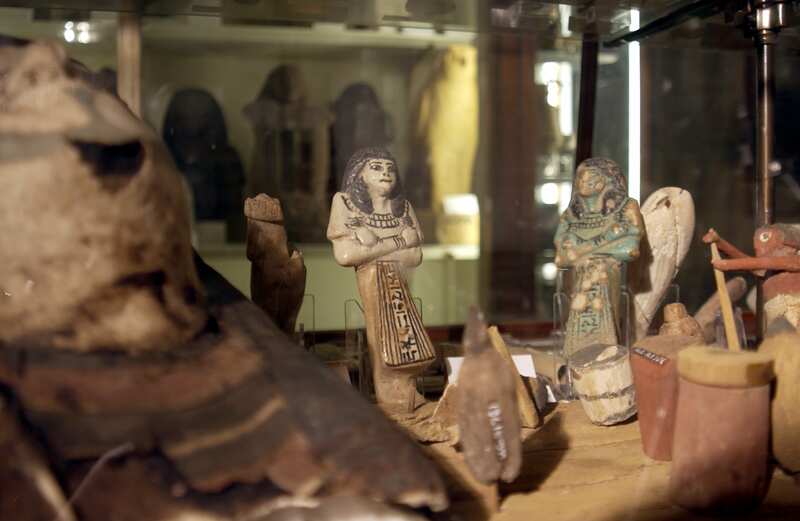 Petrie museum object number UC30690 (top left) is currently keeping good company in Manchester Museum’s ‘Gifts to the Gods’ exhibition. Outside of UCL, we have commitments nationally and internationally to keep on top of, including the organization of loans to other institutions. The department’s senior conservator, Susi Pancaldo, has recently returned from the Big Apple after couriering some of our star items across the pond where they are now under the more auspicious spotlights of the Metropolitan Museum of Art’s winter blockbuster ‘Ancient Egypt Transformed’ . Closer to home, Pia Edqvist, our Curatorial Assistant, has this week overseen the installation of an elaborately crafted animal mummy bundle from the collection which is featuring in Manchester Museum’s ‘Gifts for the Gods’ exhibition. There are many ways to get to know the collection and activities around it: the Museum is free and the galleries open between 1pm and 5pm Tuesday to Saturday, the entire collection is available to view online, and our recent centenary publication ‘Characters and Collections‘ is free as an open access title from UCL Press. Or get in touch with the team. 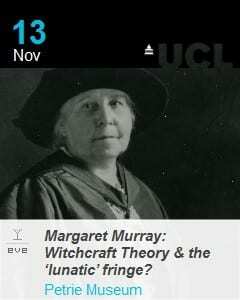 Free to download from UCL Press, stories from the characters behind the collection.